Dollar Shave Club took their creative thinking to another level in their most recent commercial and delivered another memorable advert for their brand. 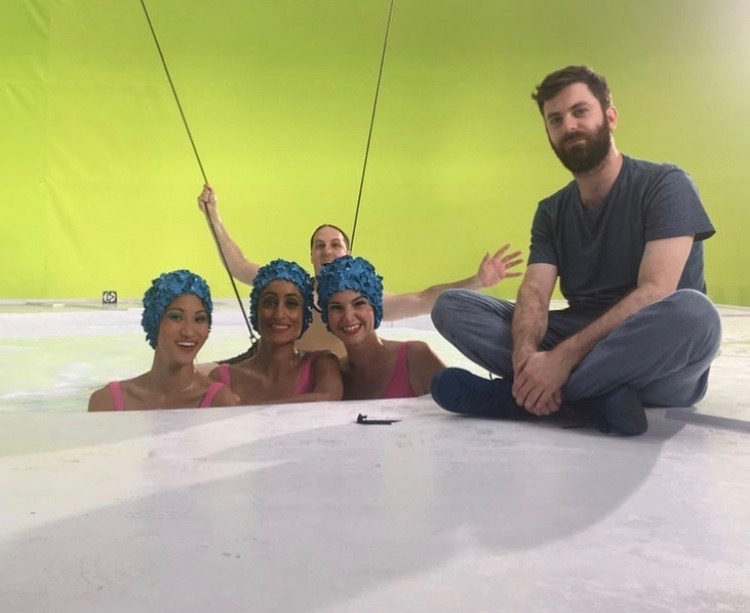 Working with synchronized swimmers from Aquabatix USA, Dollar Shave Club made synchronized swimming in shaving foam possible. In the commercial, an ordinary guy is about to shave using his Dr Carver’s easy Shave Butter and when applied to his hairy chin, he is transported to paradise and submerged in a buttery lagoon. As he surfaces through the foaming, buttery waters, three synchronized swimmers move in unison to create razor like shapes all around him in a perfect display of synchronization. 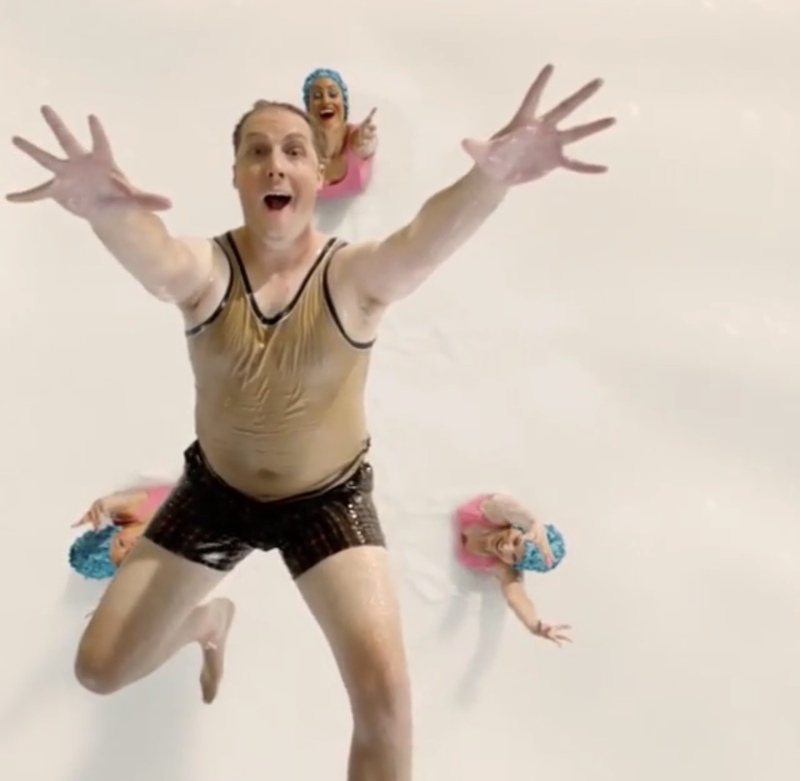 Having given the guy the closest and softest shave of his life, the synchronized swimmers throw him into the air in celebration. Making the commercial: Making this commercial was a lot of fun and our swimmers go to work in a swimming pool filled with actual shaving foam. The Dollar Shave Club put a large amount of the shaving butter into the water to create a swimming pool of shaving foam. Although incredibly soft to swim in, the synchronized swimmers could not see anything under the water as it was pitch black. Never ones to shy away from a challenge, the team found a way to communicate and deliver a perfectly synchronized performance. Dollar Shave Club is a Venice, California based Company that delivers razors and other personal grooming products to customers by mail. It delivers razor blades on a monthly basis and offers additional grooming products for home delivery. Dollar Shave Club was founded by Mark Levine and Michael Dubin seven years ago I 2011. The pair met at a party and spoke of their frustrations with the cost of razor blades. Unilever is the parent company and they currently trade in the United States, Canada, Australia and the United Kingdom.